More than 18 operation, mount and maintenance manuals for MotorGuide trolling motors free download. 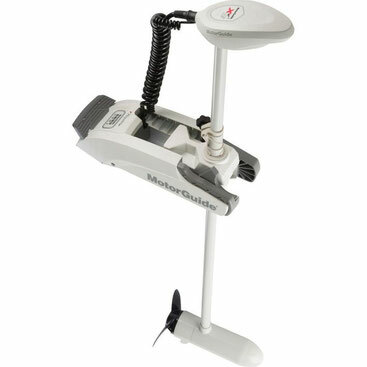 MotorGuide outboard motors are manufactured in the United States, near the city of Tulsa, Oklahoma. MotorGuide electric motors are absolutely silent, comfortable and reliable, light and high-torque. Motorguide electric motors are used on various types of vessels - inflatable rubber and PVC boats, aluminum, plastic boats and multi-seat boats. Motorguide are designed to operate in both freshwater and seawater, they are excellent for ponds with the prohibition of the use of gasoline engines, and for trolling - trolling. Motorguide electric motors are equipped with the latest electronics, multifunctional display, convenient tiller position adjustment mechanism. The dealer network has extensive service support.